Super cute multi print tiered ruffle tunic and ruffle legging set from Rare Editions is perfect for Fall! 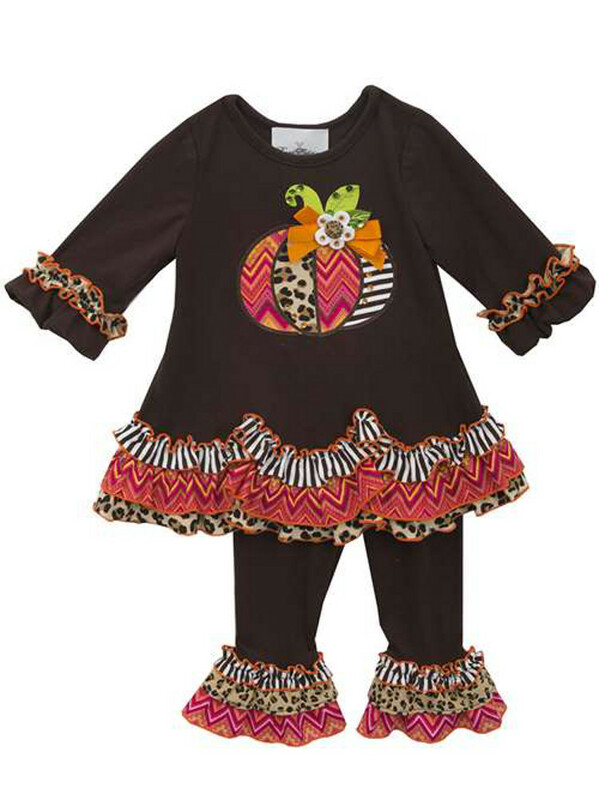 Soft combed cotton top features mixed print pumpkin applique and matching cotton stretch leggings with ruffle. Machine wash. Imported.